Madadi leaves the octagon behind, labelling the UFC's offer as embarrassing. 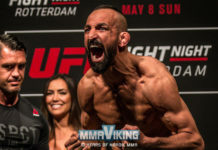 Reza Madadi (14-6) has announced that he has left the UFC, following an ’embarrassing’ contract offer. Madadi revealed the news in an interview with MMABetz stating that he did not accept their offer to remain on the same pay scale as his current contract. 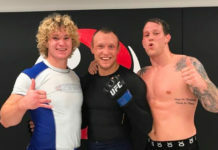 ‘Mad Dog’ had lost consecutive bouts for the first time of his career, after falling to decision defeats by Joe Duffy and Joaquim Silva this year. Madadi has never been finished throughout his twenty fight career and leaves the UFC with a 3-4 record. 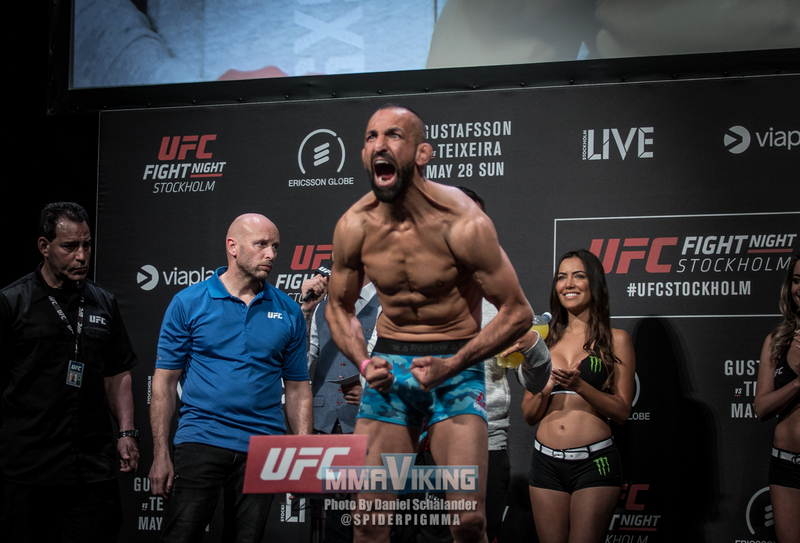 Madadi joined the UFC in 2012 after a stint in Swedish promotion, Superior Challenge, as well as fighting across Europe. He debuted at UFC on Fuel TV 2 at the Ericsson Globe Arena in Stockholm, Sweden defeating previously unbeaten Cuban, Yoislandy Izquierdo. The Sweden raised Iranian leaves the octagon behind for pastures new. His UFC highlight came over Michael Johnson at UFC on Fuel TV 9, submitting the American in the third round via D’Arce Choke to win a submission of the night bonus worth $60,000. 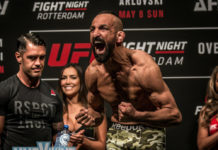 He went on to hint that his career as a fighter is not over just yet, despite previously contemplating retirement before his defeat to Joaquim Silva in May, where he was a late replacement.